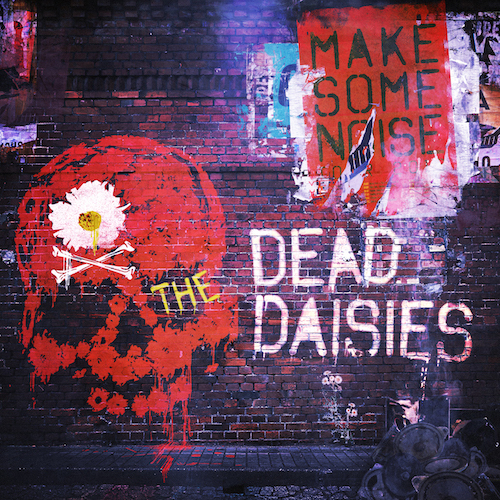 The Dead Daisies’ superlative new studio album Make Some Noise, will be released on SPV Records thru eOne on August 5th, is a vital, vibrant and utterly uplifting opus, which way more than lives up to the legendary ‘classic third LP syndrome’ epithet. 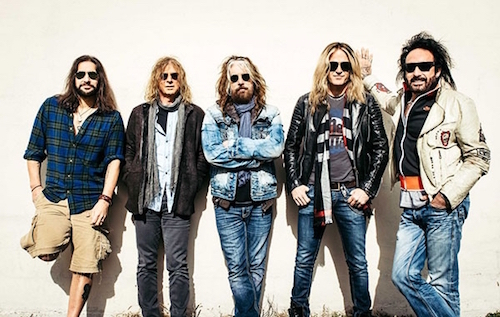 The Dead Daisies were formed by guitarist and songwriter David Lowy, whose keen instinct and clear vision has guided the recruitment of an amazing revolving line-up of renowned musicians since the band’s inception in 2012. Initially, Richard Fortus and Dizzy Reed of Guns N’ Roses, plus Rolling Stones band members Darryl Jones and Bernard Fowler, as well as John Tempesta and Charley Drayton of the Cult were involved. Lowy has once again enlisted incredibly talented international stars to record Make Some Noise. “For me as a vocalist, this kind of high caliber line-up is an absolute dream come true” enthuses John Corabi, continuing “When you work with The Dead Daisies, everybody is amazingly motivated to deliver top performances”. From blazing opener Long Way To Go (the first single and soon-to-be crowd favourite) onwards, this album rocks hard right through to the very last note. Cross references from legendary bands from the past feature just as much as highly contemporary sounds and trendsetting directives. Compositions such as Mainline and Last Time I Saw The Sun bring to mind the likes of Aerosmith and Mr. Big, while Song And A Prayer, with its fluid guitar licks and anthemic chorus, is mightily reminiscent of Guns N’ Roses. Make Some Noise, the title track itself, is nothing less than a self-confident, tongue-in-cheek rousing rock statement, bound to be chanted over and over by euphoric audiences at this consummate combo’s electrifying live gigs. 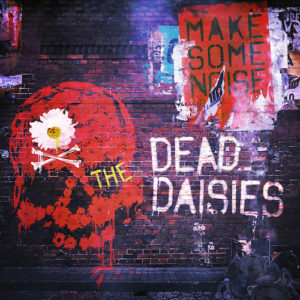 The Dead Daisies, a must-see live act who have already toured with the likes of ZZ Top, Aerosmith, Bad Company, Lynyrd Skynyrd and Def Leppard, among others, have lined up a UK and Irish tour in July in support of Make Some Noise. Audiences across Europe, U.S., and Japan will get the chance to catch the biggest new name in Rock at the following gigs and festivals and when the band joins America’s No. 1 Gold Record Award winning group of all time KISS, on their highly anticipated Summer American Freedom To Rock tour. ‹ 5/24: ROCK ON THE RANGE RECAP, ANGEL PODCAST THIS THURSDAY!